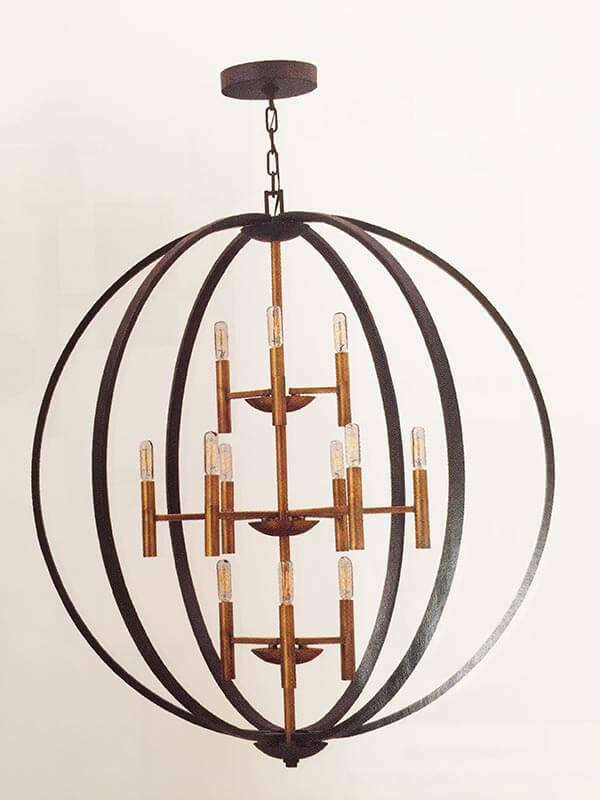 Some words used often in the lighting world are; Rustic, Contemporary, Transitional, Traditional, Classic, Industrial, Elegant, Wine Country and Coastal to mention a few. We hear these words and read them in magazines and we begin to salivate. These words describe our feelings for the type of lighting we want and need for our home. Home is where the heart is and we expect our fixtures to offer better technology and be eye-catching designs that reflect who we are. Orbs are still high on the list of exciting fixtures. Zinc, rope, textured layers of wood, blends rustic and cosmopolitan flair. The clean lines combined with the industrial looks add a hint of Sixties styling which is simple yet powerful. Sleek and modern with metal shades offer a retro twist. The mixing of charred wood and handforged recycled steel offer that coastal and wine country look. Crystal droplets with elegantly teardrops-cut crystals and LED bulbs make for a real wow factor. The geometric frames support a vintage-style look with the use of antiqued mirror backplates. Wow! So many choices, so many designs, so many words!